You’re probably going to have at least a few guests who are unfamiliar with the area, so do yourself and them a favor by providing them with a nifty wedding itinerary. Details such as key times, names of people to contact, what to wear, and so on will greatly help them adjust to the occasion. You can even provide both an offline and online version to make it easier for everyone. Unless you’re truly up to your ears with last minute details and other wedding plans, you might want to welcome your early guests with a welcome party or small gathering. 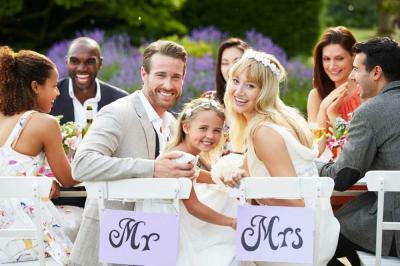 During your actual wedding day, you might not be able to truly make time for everyone (and that’s pretty normal), so this is the perfect opportunity for you to catch up with them and spend some quality time together. Some guests might not be familiar with your wedding venue, so you can always help them out by providing some researched and confirmed suggestions ahead of time. You’re definitely not required to foot the bill for them, so the least you can do is to recommend a few choice accommodations (that suit their budgets and preferences) and travel options for them to choose from. Other than enjoying the momentous occasion and catching up with you and your partner, your guests will definitely be pleasantly surprised with a welcome gift. You’ll have to decide what you want to offer them based on your resources, and it can range from something entirely homemade to complimentary hotel massages. Most importantly, you’ll want them to feel appreciated for their time and effort. For guests flying in or unfamiliar with the place, there will be some who prefer to rent a car, and others who don’t. Transportation (especially in large groups) is usually tricky to arrange, so why not rely on our Destin limo service? We’re the experts when it comes to transportation for special occasions, and we’ll be more than happy to discuss your upcoming wedding transportation plans with you. You can count on the wedding transportation Destin FL has to offer and take your special event to the next level. We offer the most beautiful selection of vintage wedding cars, limousines, luxury wedding cars, SUVs, vans and buses. Our luxury vehicles are guaranteed to match any wedding theme, style, and budget. Give us a call or contact us online. We would love to be part of your special day!